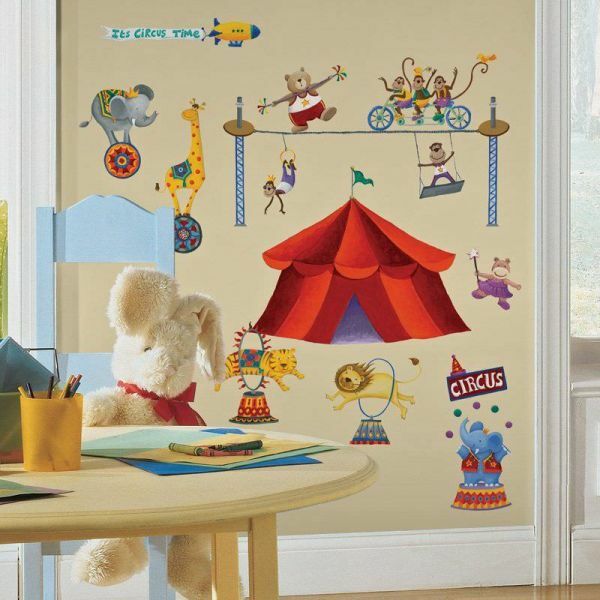 Mischievous monkeys, juggling elephants and hippos, docile lions, and bear acrobats will give quite a performance! And because RoomMates wall stickers can be removed and repositioned at any time, you can create and change your own unique scene as often as you like. Let the show begin!